I'd never even heard of a Nixie tube till I found this little corner of the forum, but I am now the proud owner of this Nixie tube clock. Did you make the case yourself? I must admit I bought the whole thing complete on Ebay, from a guy in South Africa. It's very well put together and easy to program it's various features. It's a beautiful case, finishes off the piece perfectly I have one that is waiting for a case do you know if he sells just the case? Cheers...I will check it out. and the David forbes and Jeff Thomas Nixie watches. very nice collection Cesar. Love them all. this is mine..a very clean looking one. 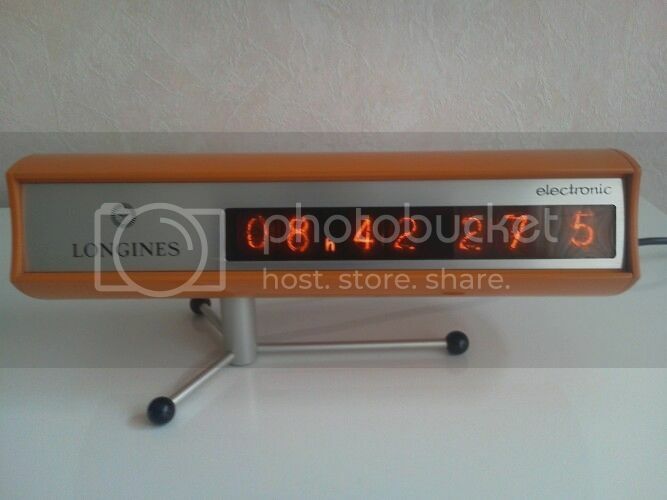 Very nice sharp modern Nixie Clock you got there Kasper. Just picked up another DIGEEC Nixie clock. This time in black and white. Except this one even has an extra Nixie to display 1/10 of seconds. I liked the other Digeec i have so much i just had to have this one as well. Cool indeed and totally in the way I like things . I got two old batch counters here, 1 with 4 tubes and 1 with 3 tubes. I was planning to modify them and do exactly like that, hours, minutes, seconds and 1/10 seconds . I got to get my watch designs to the manufacturers first before I can make my 7 tube clock but it will be my hobby project "one day". I really like them all, just can't afford to purchase them all lol. Here's my favorite, it is the clock of the house, and all other clocks in the home are set to what time it displays. Soon to come... a new super rare addition to my nixie clock collection. Last wednesday i picked up a nixie clock which i think is one of the most beautiful designed nixie clocks out there. I never thought i would be able to even get a chance of buying one of these because they are extremely rare. Only 500 Of these Longines Nixie Clocks were made between 1966 and 1970. These Swiss made Clocks were used for timekeeping during the 1972 Summer Olympics in Munich Germany. As this clock was mostly distributed to jewelers ment for "display only" purpose not many were sold to the public. The owner i got it from had to heavily persuade the jeweler to let it go. He had to pay a whopping 2000 dutch guilders for it. Or 1200 USD which in 1973 was alot of money, and still is even to this day. So one might say i got very lucky last weekend after looking for one of these clocks for over 2 years it finally popped up. It had been for sale for 4 days already and i immediatelly called the seller who was selling a whole lot of things needing to fund his upcoming home renovation. It was a 2 hour drive but love at first sight..
it's owner still doubting if his decission to sell would not make him regret it afterwards. Well i'm pretty sure i would regret it if i ever had to sell, so i'm not even thinking of selling it. 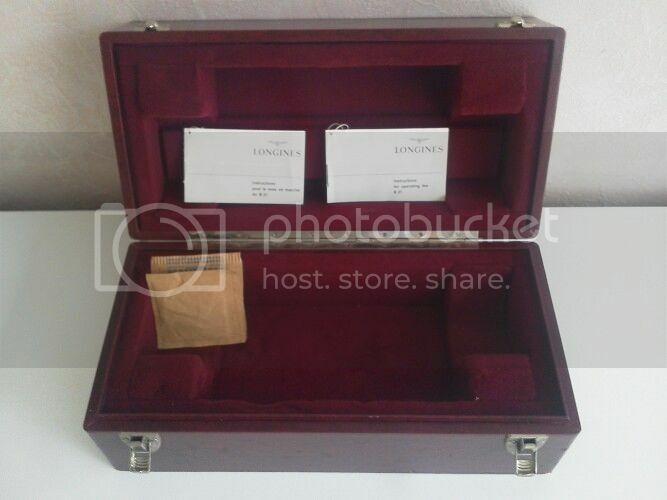 The clock comes in it's original box numbered 366/500 with 2 little instruction manuals containing the instructions in several languages. Another amazing thing is that the original 2 bags with an anti-moisture substance are still present in the box. These days similar bags filled with "sillica gel" can still be found in boxes containing modern electronics. On the back of this clock are the buttons to set this clock accuratelly to 1/10th of a second. But certainly not overkill if your selected to take care of timekeeping at the biggest sporting event in history in 1972. This year Longines beat the usual Omega for taking care of timekeeping at the summer olympics. Proof of this is still on the back of this clock. The jeweler back in 1973 told it's first owner it has a possibility to connect some sort of box or device. This device was hooked up to the connection on the back which according to the instructions opperates over 2HZ. What this device looks like or how it would have exactly worked i have no idea, i'm not an electronics wizard. The jeweler that sold the clock in 1973 said it never came with this device. And in the box there is really no space to put it. I suspect that maybe it could turn the clock into some sort of stopwatch which would make perfect sence. or how it would have worked please share this info as i am very curious about this function. I'm sure some handy electronic wiz could still make a similar device for this clock, so any idea is welcome. Well thank you for reading this space and i hope you enjoyed reading it as much as i did writing it. 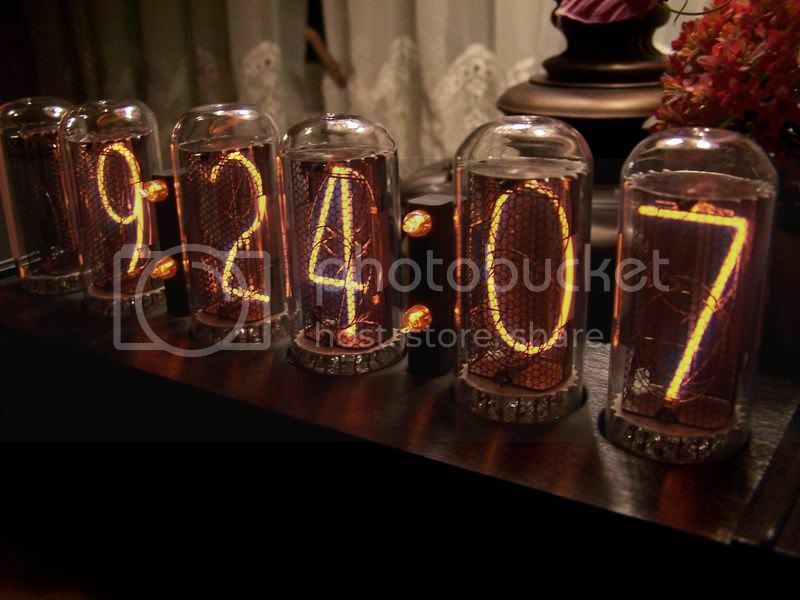 All i can tell you that i will shut my eyes and fall asleep staring at the wonderful glow of Nixie bulbs tonight. i think it's an incredible piece...love it Great catch. can you take a picture with a watch or lighter, just to have an idea how big or small it is? Unbelievable, I have been looking for vintage nixie clocks remind me of the counters in my lab which were replaced by LEDS. That one is unbelievable. Can you find new tubes for it? I just acquired an heathkit panaplex clock from the 70s but not as cool looking as your space odessy clock. I love it. The case design is classic and timeless. 2. An output so that you can drive another clock, which means that the second clock would be 'traceable' to your clock. They would be synchronised and should stay in step with each other. It would be worth checking with an oscilloscope to see if anythings there (in which case it would be an 'output'). Cesar, amazing story and even more amazing origional Nixie clock. Absolutely stunning!!! +1 Internets to you good sir, what an amazing piece of horological antiquity!! 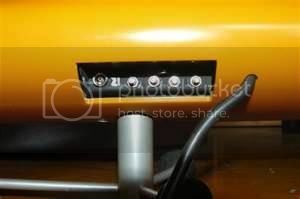 If you can, get a photo of the tubes, the back side of the tubes should give you the model number and manufacturer. You should then be able to find some spares, I recommend that you do buy some spares if you can. The nixies seem to be a smaller size, so hopefully not as expensive as the larger ones. It really is an incredible piece, i will take that picture as soon as i can. I would need to take it appart some day to determine which type of bulbs were used. You are absolutely right about having a couple spare bulbs laying around . i have seen pictures on the internet of similar clocks with the same problem. So i need to find out which ones i need for those to replace them and thus need to open it up. A job for some rainy day maybe. I suspect the bulbs are still available on e-bay....but who knows in another 50 years they might not be. but i think one of those simple current measuring meters might do the trick aswell. Thanks for those ideas it could be either of those in or output your guess is as good as mine. I'd love to see pictures of that heathkit panaplex clock did you post any pictures of it yet? When I get back, off to Tokyo today. I have the original build manual and three NOS extra dual displays. Will post all. The clock has the classic flicker in the ones display in the seconds digits. There is a fix which I have yet to do involving one resistor and a cap. I will document all. Aside from the flicker the clock is keeping excellent time. 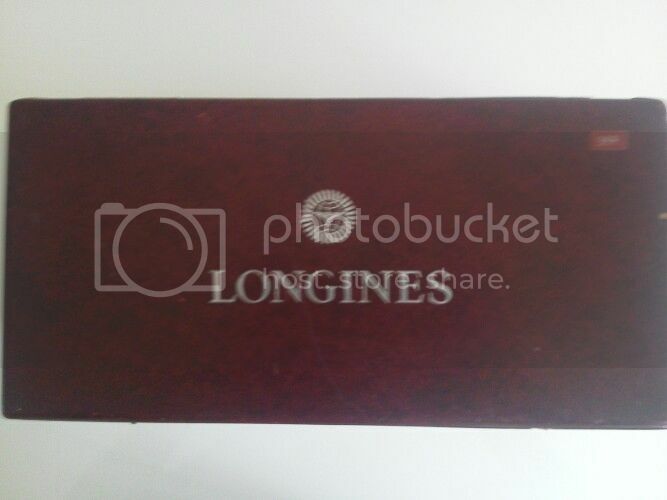 Love that longines, trade ? looking for this for over 2 years. Would be a shame to let it go right away. That would be a great project! instead of ending up in the junkyard.